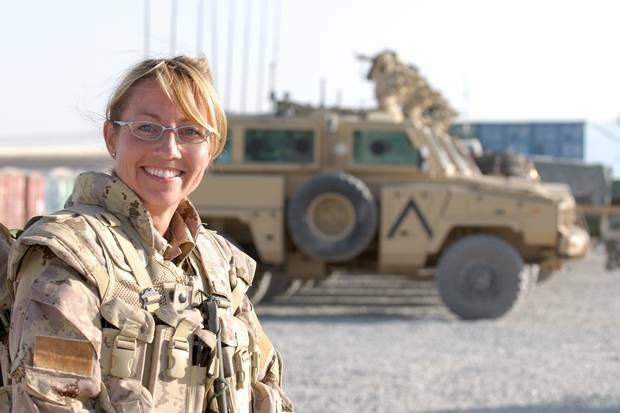 Retired Captain Hélène Le Scelleur was medically released from the military while she was working on her PhD that focused on the lack of support for military members transitioning to civilian life. After a bomb blew up the armoured vehicle she was riding in, not even a broken sacrum could stop the wave of euphoria that hit Captain Hélène Le Scelleur. She and everyone else in her crew were alive. Then came four dark, moonless hours waiting for one of two outcomes: rescue or Taliban fighters streaming over the ridge to kill her. It's hard to come back from a moment like that. In many ways she still hasn't. "We sat in that hole for four hours waiting to kill or be killed. It was really stressful and it's hard to go back afterward and say 'It's okay, nobody died,' " Ms. Le Scelleur said. That moment is where a long, successful military career began to fall apart from post-traumatic stress disorder and the accompanying panic attacks, night sweats and alcohol abuse. This spring, after 26 years, Ms. Le Scelleur, who was a captain second-in-command of a medical company in Kandahar, found herself cast aside by the military. Most painful to her is how the military sent her away just as she was learning to cope with her illness and earning credentials that should have made her among the military's valued officers. Ms. Le Scelleur was second-in-command of a medical company in Kandahar. Ms. Le Scelleur was completing a master's degree in social work financed by the Canadian Forces in 2013 when the army ruled she was permanently disabled. She carried on with her PhD on her own dime anyway. The working title of her doctoral thesis? 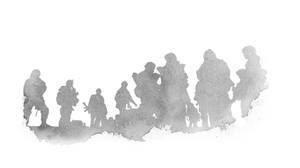 "Life in the shadow of the uniform: the transition toward civilian life and identity conversion of Canadian military living with an operational stress injury." On April 19, 2016 – some two years and four months after she was deemed disabled and still working on her PhD – she was medically released at age 43. "The knowledge and experience I have could have been tremendously useful within the military," Ms. Le Scelleur said. "But when you get that stamp of PTSD on your head, it's over." And so, just as she was working on a hypothesis that the military exacerbates mental illness and suicidal thoughts by cutting soldiers off from their social support system, she turned in her ID card and was escorted to the door of National Defence Headquarters. "I started to cry," she said. "It was hard to believe that's how it ends." Born in Boucherville, Que., Ms. Le Scelleur found an unusual path into the army. She was 17 and a high-school theatre geek where she saw a recruitment drive and was wooed by the chance "to drive big trucks," as she recalled. She was among the first wave to join the infantry after the ban on women was lifted. "I played GI Jane for three years. A lot of people wondered what I was doing. I was more of an artist before, but in a way when you put on your uniform it's like being in character," Ms. Le Scelleur said. "I felt like I really belonged. I had the flame." She shifted into administrative work where she organized soldiers heading to the former Yugoslavia. She went herself in 1996 and 2002 as a reservist and joined the regular forces soon afterward. She studied to become an officer and health-care administrator and was promoted to captain. She was named commander of a field ambulance platoon in time to deploy to Afghanistan in July 2007. Ms. Le Scelleur (right) tends to a young Afghan girl suffering from a burn at a free medical clinic run by Afghan, Canadian and American medical and dental personnel in Spin Boldak, Afghanistan. On top of the roadside bombing, stress came in a steady dose for Ms. Le Scelleur on her tour. As the second-in-command of the medical company in Kandahar, she had the high-pressure job of organizing the evacuation of wounded and killed soldiers; twice she had to handle the deaths of her own medics. One of the medics was a man she had encouraged to come on tour despite some personal hardships. "I wasn't the one who set the IED [improvised explosive device] but I felt so responsible," she said. "It was hard." Ms. Le Scelleur returned home in 2008 to a new plum assignment as then governor-general Michaëlle Jean's aide-de-camp. For nearly a year she travelled the world with the governor-general but was soon burnt out. She wasn't sleeping well, was having nightmares and drinking too much. "I was afraid I was going to cause a diplomatic incident. So I resigned and they put me on the shelf," she said. The captain went to therapy and felt better for a couple years. But in 2014, the Parliament Hill terrorist attack sent her into spiral of suicidal thoughts, flashbacks, nightmares and hyper-vigilance. Only the presence of her two children, aged 18 and 4, kept her from going over the brink. "At one point I was sitting by myself with all my meds in my mouth and I thought it was the end. But I had a little kid and didn't want to abandon him. That's the main thing that stopped me," she said. Ms. Le Scelleur with her son, David Lebel. Ms. Le Scelleur is back in therapy and taking medication. She's also back in school working on that PhD and volunteering for Wounded Warriors Canada, a veterans support group. She spends a lot of time thinking about ways to fix the patchwork of services available to veterans across the country and how to ease the transition out for soldiers. When a person joins the military they have their head shaved, they go to boot camp in Saint-Jean-sur-Richelieu, Que., get a uniform and lose their civilian side. "There's a construction of the military person. We don't deconstruct that," Ms. Le Scelleur said. "There's an entire reset that's needed. On paper there are a lot of programs but in the real world the way it's handled and offered is not the same thing." Ms. Le Scelleur is still searching for a better way to deconstruct a soldier when they return to civilian life. But first she has to reset her own soldier within.